Malta and Gozo are busy preparing for the Easter celebrations, with traditional ceremonies, and historical processions in many towns and villages. 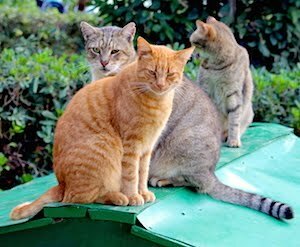 A welcome break for many, but more than 1000 men and women in the Islands look after the well-being of stray and abandoned cats - just like every day and all year round. The upcoming photo-story book «Islands of Cats» highlights their commitment to the feral cats in the Maltese Islands and the impact it has on society and environment. fun facts and stories about cats. An entertaining, socio-critical book that will be published as e-book and hardcover, in English, German and Maltese, available to animal lovers around the world. Help us to help the stray cats carers. We are still looking for start-up support, primarily for the printing of the first 1000 hardcovers. Your contribution is very welcome » Click here, or contact us for co-marketing and sponsorship opportunities. Thank you so much for your time and consideration, and stay tuned for more. Happy Easter Wishes & Greetings !